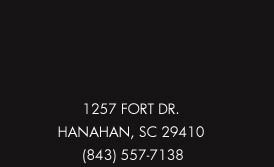 Based in Charleston, SC area and offering state wide service. We are a full-service litigation support company. Our goal is to provide our clients with the expertise to be able to take advantage of the ever changing high tech ways of capturing and presenting a compelling, cost effective, true-to-life story for their clients. We are members and Certified Legal Video Specialists (CLVS) by the National Court Reporters Association (NCRA) and are always looking for the newest technology and training to make our client's job a little easier and more cost effective. We at Clearview Legal know that every client has different needs, so we tailor our services to fit each specific case and budget. Our services range from Consultation, Video depositions, Court Reporting, Mock Trials, Presentations, Video Transcript Synchronization, Media Conversions, Editing, Audio Restoration and Media Duplication to Animations, Day-in-the-life, Settlements, Inspections, Documentaries and Commercials. Our full audio/video production studio and expertise gives us the confidence we need to guarantee our clients quality, price & satisfaction. We archive every project so you will always be just a phone call or e-mail away from having that vital piece of testimony that could potentially make or brake your case. For our out-of-state clients, we can assist with all the details of setting up a conference room, phone, video link, court reporter, videographer, interpreter and any other accommodation necessary. We look forward to building a relationship with you so that when you call you can rest assured knowing that the service you expect we exceed. Professional service, Professionally delivered. Guaranteed every time. We at Clearview Legal Video look forward to being your one call videography, court reporting, trial support and information resource. Thank you for visiting our website and thank you in advance for allowing us to serve you and your clients.